Ewing Automotive Group, a dealership group consisting of Mercedes-Benz of Plano, Ewing Buick GMC and Ewing Subaru of Plano, located north of the George Bush Turnpike and South of Highway 121, in one of the fastest developing business corridors in the country. Fin Ewing, III is the current President and Dealer/Operator of Ewing Automotive Group. The history of the Ewing Automotive Group began way back in 1940 when Fin’s grandfather, Bruton Orand, moved from Waco to Dallas to take over the management of Morris Buick. That same year, Mr. Orand started Orand Buick at 2128 Cedar Springs near downtown Dallas, the present location of The Crescent. At the time, Mr. Orand probably did not realize he was founding a family business that would still be thriving today. His first challenge was to weather World War II. This was a time when tires were not available and gas was rationed. In fact, one might say it was the worst possible time to go into the car business! He persevered, however, using the basic principles of serving the customer and maintaining a high level of integrity and as a result his business prospered. When Bruton Orand died in 1961, his son-in-law Finley Ewing, Jr., who had gone to work for Mr. Orand in 1957, took over the business. Under Mr. Ewing’s leadership, plans for future growth took shape. In 1972, Autohaus, Inc. was formed and became the owner of the newly awarded Mercedes-Benz franchise. Autohaus, Inc. set up shop at new facilities off the Dallas Parkway. In 1973, the Orand Buick name was changed to Ewing Buick. Ewing Buick soon joined Autohaus, Inc. when the dealership was moved to its new location off the Dallas Parkway just north of Autohaus, Inc. It was amid this climate of change and growth that Fin Ewing, III became involved in the family business. The current President of Ewing Automotive Group has worked in the family-owned business since he was eight years old. As a youngster, he cleaned the coffee shop for $25 weekly. When he was in his teens, he worked in make-ready and the parts department. He eventually went into sales and loved it! In 1985, Fin Ewing took over management of Ewing Buick Company and has never looked back. Always with an eye to the future, the Ewing family continued to expand when in 1994, Ewing Buick Company bought out Don Carter Pontiac and GMC and relocated the Buick franchise to 4464 W. Plano Parkway. New facilities just east of the existing building were completed for Ewing Buick Pontiac GMC Truck in 1997. Autohaus, Inc. now doing business as Ewing Autohaus moved into the extensively remodeled facility previously used by Ewing Buick Pontiac GMC Truck. Just prior to the move, Mercedes-Benz North America awarded Ewing Autohaus the new light truck franchise. After approximately 20 years in Plano, Fin made another forward thinking bold decision to move the dealerships back to a location on the Dallas Tollway in Plano to better serve the group’s customers in Plano, Frisco, Prosper, Allen and McKinney, as well as other surrounding north Texas communities. A 31 acre site was acquired and construction began on two state-of-the art dealerships which were completing in October, 2015. 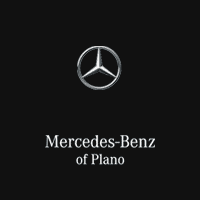 At that time, Ewing Autohaus’ name was changed to Mercedes-Benz of Plano to better identify its location. The dealerships’ current locations, in one of the fastest growing areas of the Dallas metroplex, position Ewing for success now and into the future. Positive change continued to happen for Ewing, when in 2014, Finley, IV, Fin’s oldest son, joined Ewing Automotive Group. After completing an extensive management training program and the National Automotive Association’s Dealer Candidate Academy, Finley assumed the position of Vice President and C.O.O. of Ewing Automotive Group in 2017. Finley has a passion for exploring and bringing new technologies and a more transparent process to the dealership environment with the goal to improve upon Ewing’s already positive customer experience. The Ewing history in the automotive business has been very bright for the family but they believe the future will even burn brighter. By continuing to follow the basic principle laid out by Fin Ewing’s grandfather back in 1938 of always putting the customer’s needs first, the Ewing family anticipates that the Ewing Automotive Group will continue to thrive and grow for generations to come.